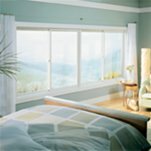 Expect the Best from the Window Replacement Experts. Renewal by Andersen is the sole provider of the Renewal by Andersen® window to Anchorage and surrounding areas, including Big Lake, Wasilla, Palmer, Girdwood, Soldotna, Seward, Homer, Kenai and Mat-su Peninsula. 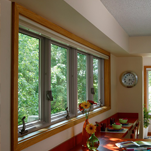 Andersen® Corporation designed the Renewal window to be installed exclusively in existing homes. 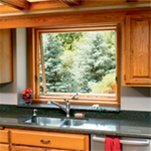 We offer a wide variety of standard and specialty windows that complement both modern and traditional architecture. 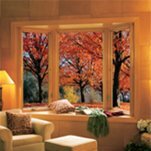 Renewal by Andersen® window replacements are made of the virtually maintenance-free Fibrex® material. This patented revolutionary material combines the durability and strength of wood with the maintenance ease of vinyl windows. And our sustainably manufactured frames are more energy efficient and outperform all other frames on the market, including vinyl. Nothing lasts forever — but Fibrex®comes close! Renewal by Andersen Alaska’s windows feature a slim profile with less bulky frames and more glass area for an uninhibited view. We also offer a wide variety of colors, wood species, grilles, and hardware to customize your windows to achieve any look. You can also experience our nearly invisible TruScene™ Insect Screen, included with the installation of every suitable style of Renewal by Andersen® replacement window. 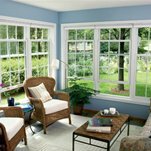 If you aren’t sure what direction you want to head with your new windows, browse our photo gallery to see examples of each style of window. Larger openings have the ability to provide breathtaking views through casement, gliding, bay or bow windows. Of course, a classic theme of matching double hung windows in regular sized openings is still a timeless, elegant look as well. 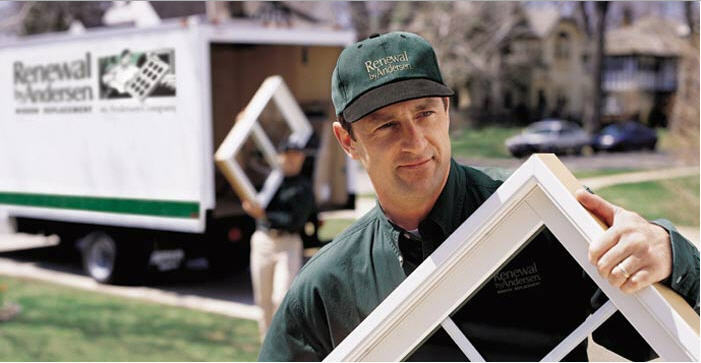 Renewal by Andersen® has successfully installed more than 2 million replacement windows in over 300,000 homes. 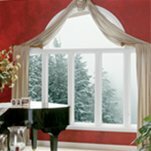 Ask your neighbors around Anchorage, Eagle River, Chugiak, Wasilla, Palmer, Big Lake, Willow, Houston, Sutton and Girdwood Alaska: chances are one of them can attest to the quality of our custom windows from personal experience. Call (907) 290-5778 or submit an online form to request a FREE in-home design consultation with one of our experienced and friendly design consultants. Enjoy peace of mind with a brand that has stood the test of time!